The new A6 to Manchester Airport Relief Road (A6MARR) is now open for use. Providing a vital road link from Hazel Grove in the east, to Manchester Airport and the ever-growing opportunities on offer there in the west, the A6MARR will be an important new route for residents and business to use as they travel around Stockport, Manchester and east Cheshire, whether they’re in a vehicle, on a bike or travelling by public transport. Along the route, connectivity will be improved; congestion on many local roads will be reduced as traffic uses the more direct road link and local employment and business opportunities will be brought within easier reach for all. 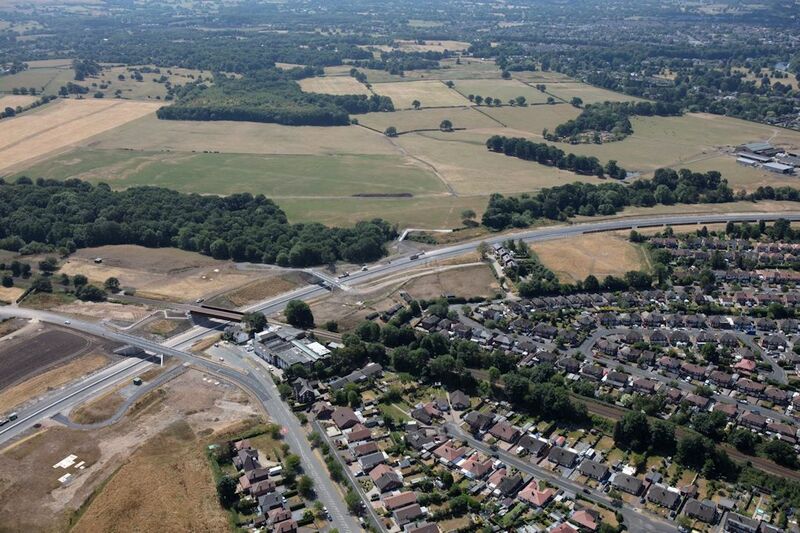 The £290 million project, which has been funded by the Department for Transport, has been one of the UK’s largest and most complex local authority road schemes over recent years, but the benefits it will bring are significant. Councillor Kate Butler, Cabinet Member for Economy and Regeneration at Stockport Council said: “I’m delighted that the A6 to Manchester Airport Relief Road is now open for people to use. The road will undoubtedly be one of the key routes for traffic as it travels in and around our region, and the benefits that the opening will bring for residents and companies in terms of reduced journey times, easier access to job and business opportunities as well as reducing congestion on many local roads are huge. Whilst the road is open for traffic, there are a few final finishing touches that the contractor and partners need to make during the rest of this month as they complete the last elements of the works and arrange for the traffic lights on junctions, such as the A34/Stanley Green, to be commissioned.